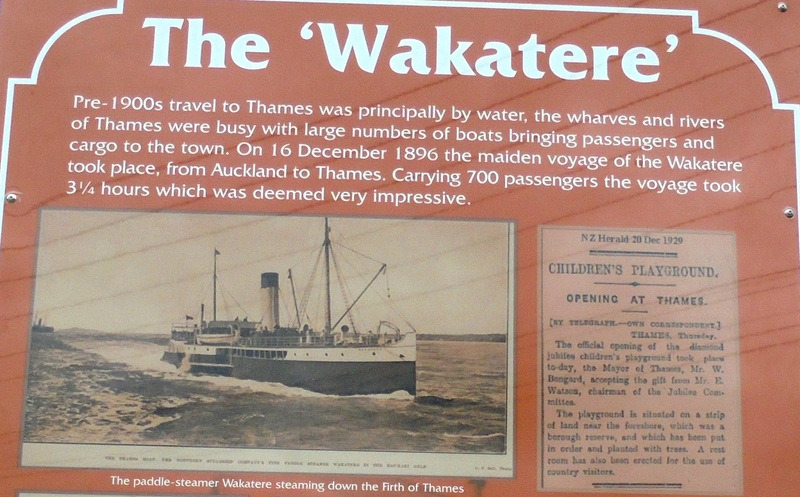 It was with much sadness that Thamesites watched their beloved Wakatere playground ship demolished at the end of 2016. 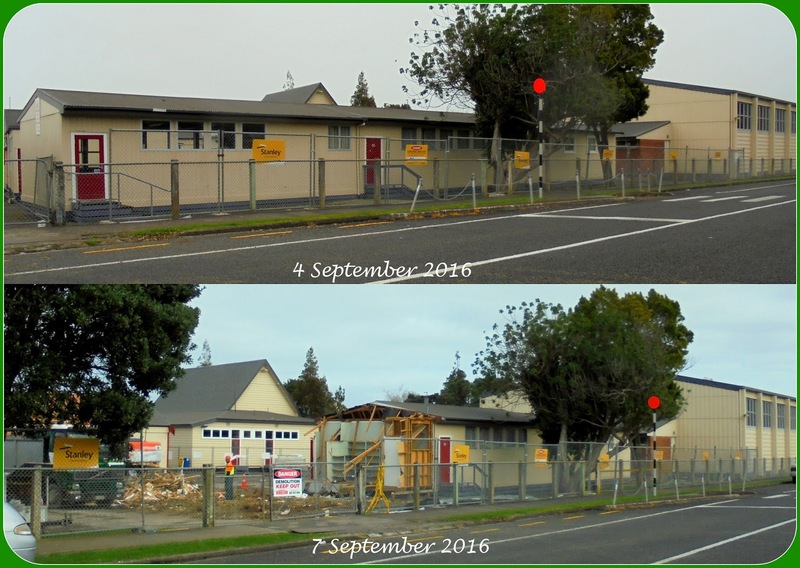 Efforts to save it put aside when it was discovered it contained asbestos. The Lions club have erected a large memory board to allow the Wakatere to live on at the Porritt Park Children's Playground, Queen Street, Thames. 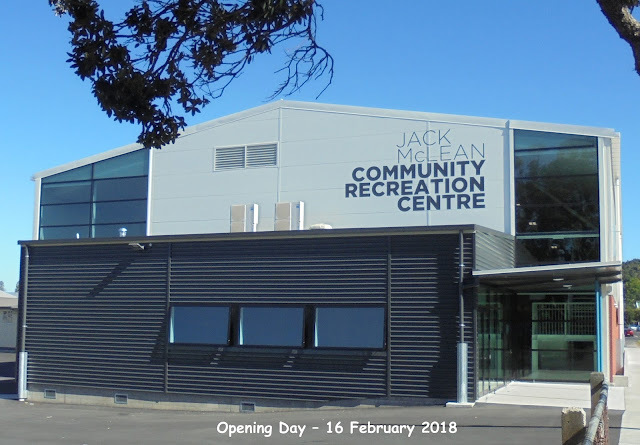 The sign is located north of the toilet block and at the southern end of the new skate park area. Special thanks to the Thames Lions Club, for another wonderful heritage sign. 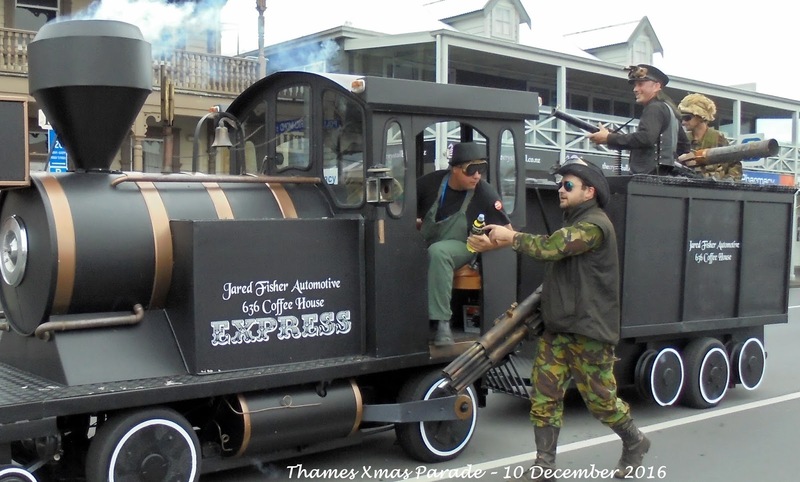 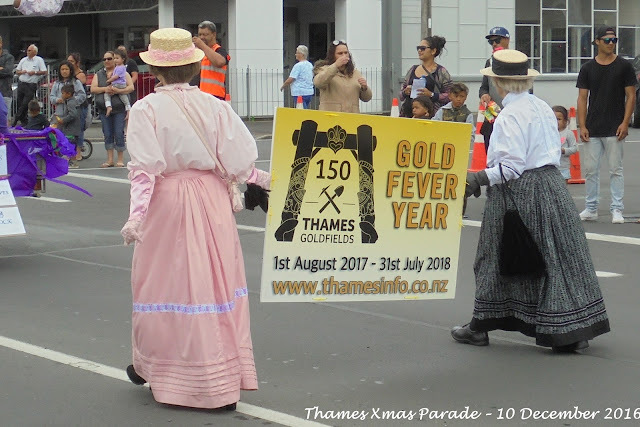 2017 will be an exciting time at the Thames, as the town prepares for the official commemoration of the opening of the goldfields 1st August 1867. 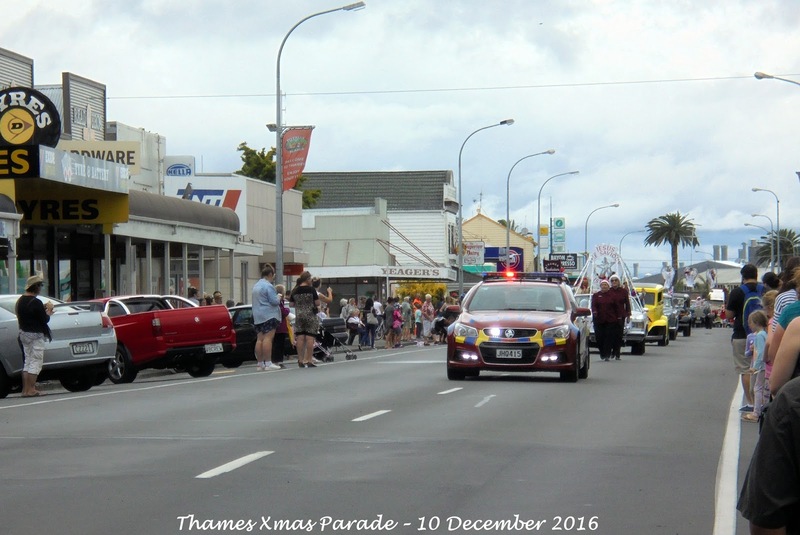 Lots of events are planned for throughout 2017-2018. The Thames 150 committee are working on these and should release information in the New Year. 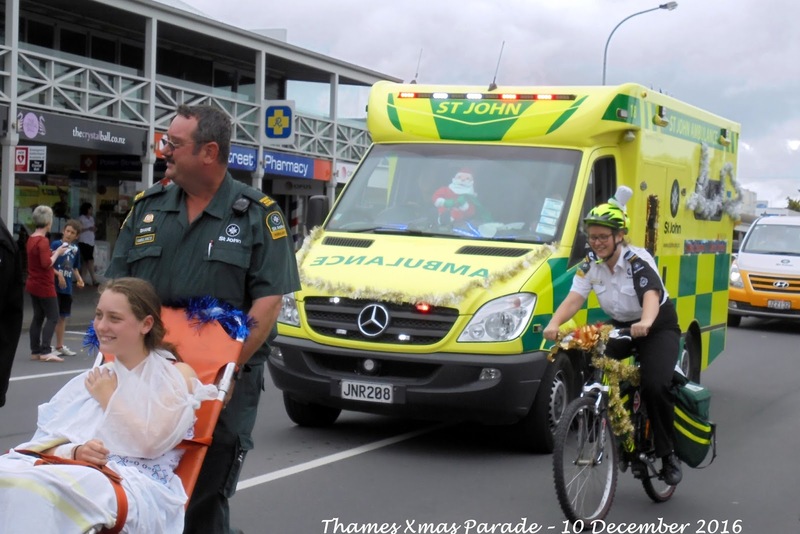 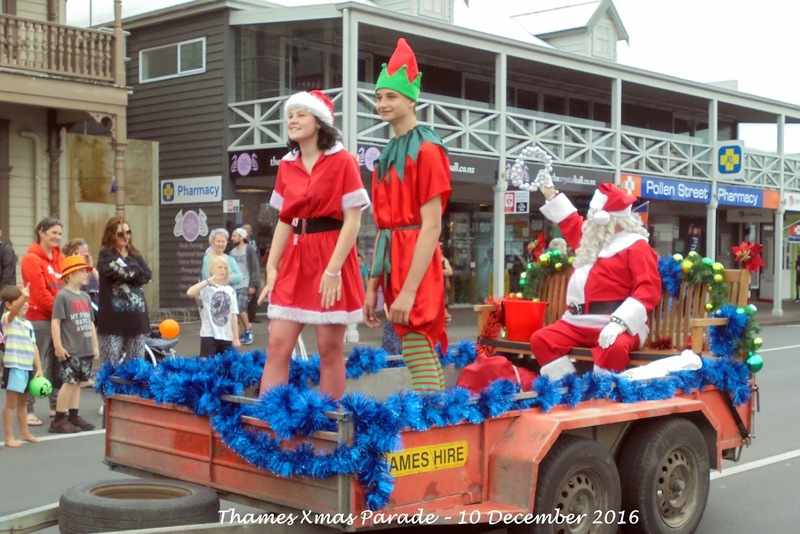 In the meantime Merry Xmas from Thames. 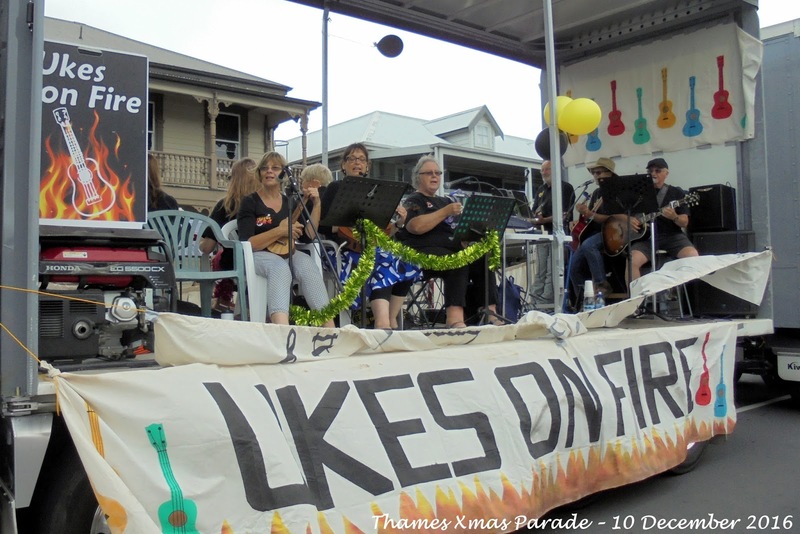 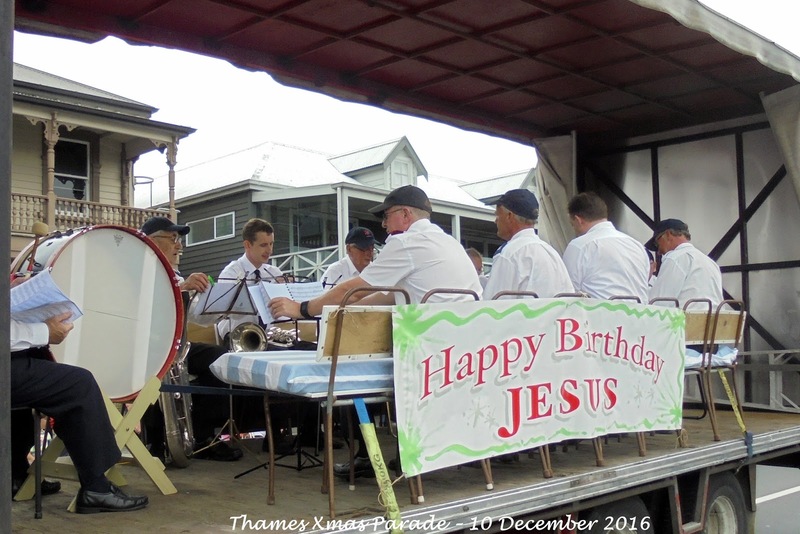 While the town prepares for the 150th Commemorations for the Thames Goldfield, there is another milestone on the horizon. 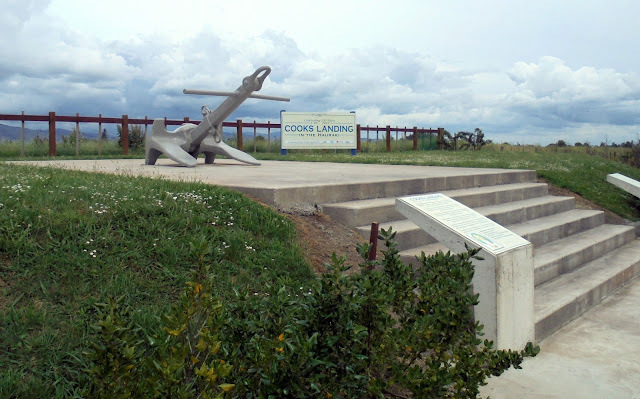 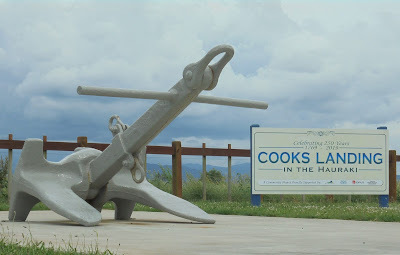 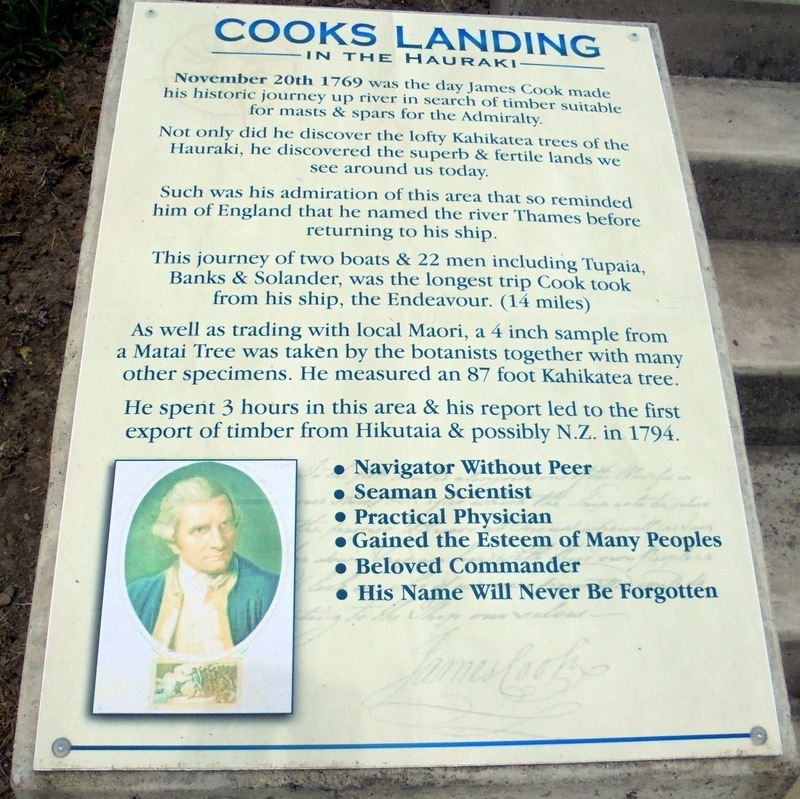 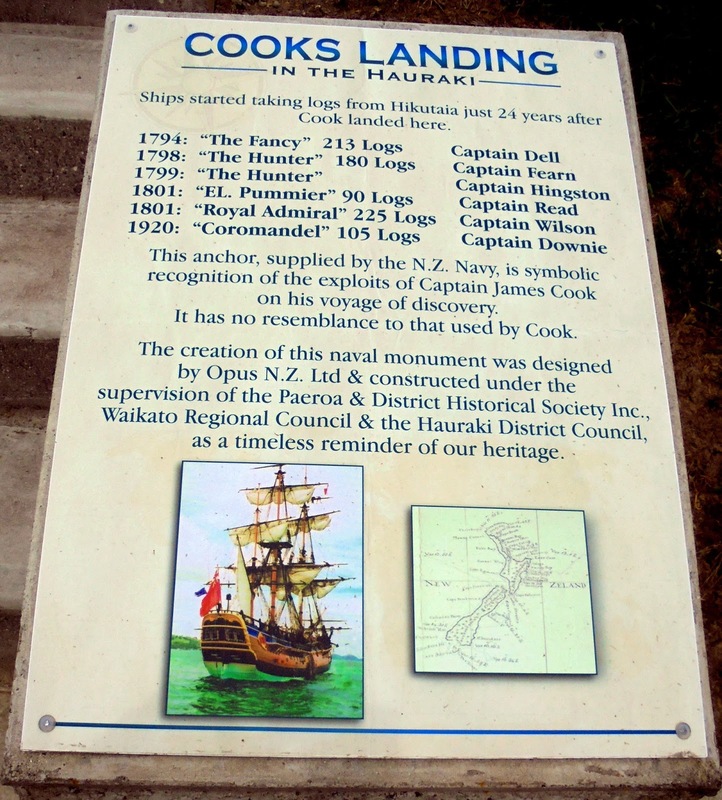 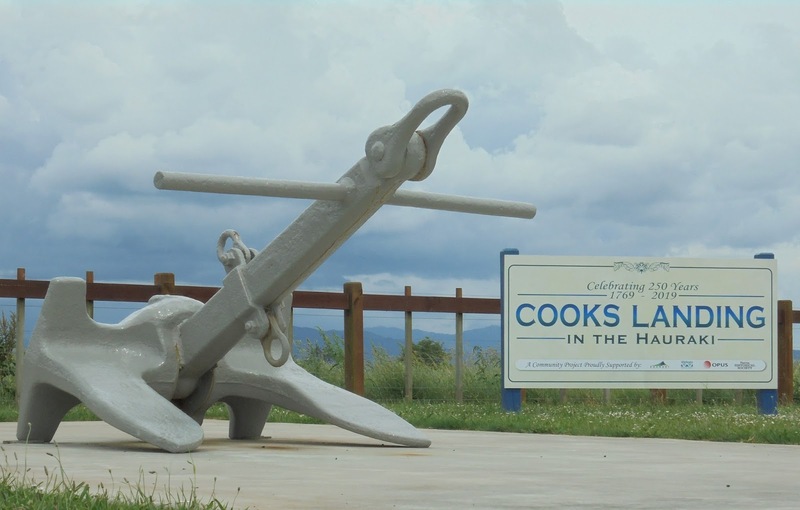 That of November 2019, when the area will remember the 250th Anniversary of Captain Cook's visit to the area. 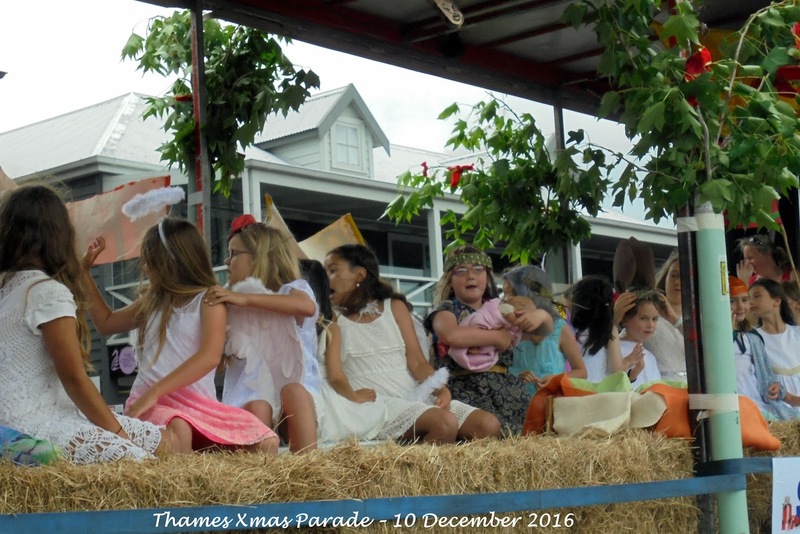 The sky was overcast with a light drizzle of rain, but Thamesites lined the mile long Pollen Street eagerly waiting for the annual parade. From the time the goldfield opened 149 years ago, the townsfolk have always turned out for a parade. 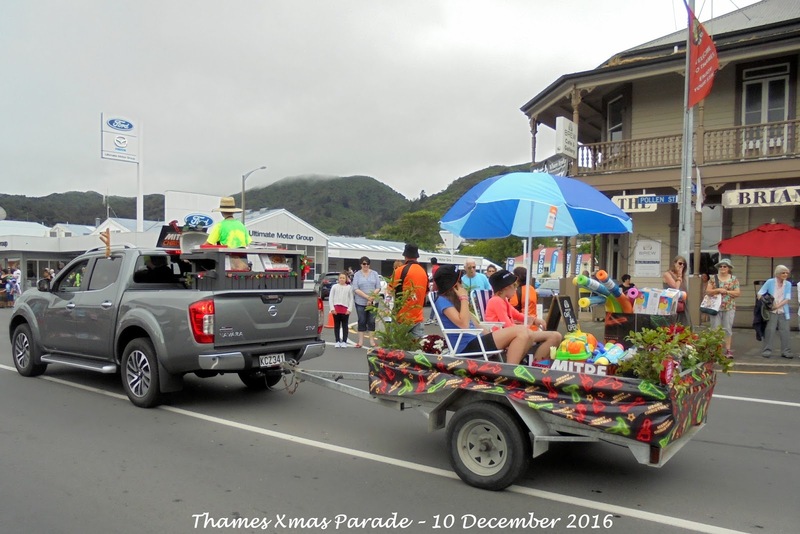 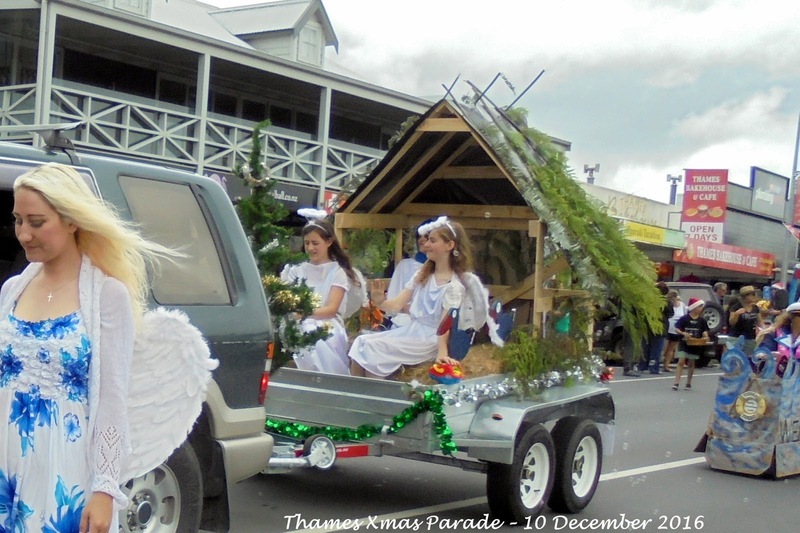 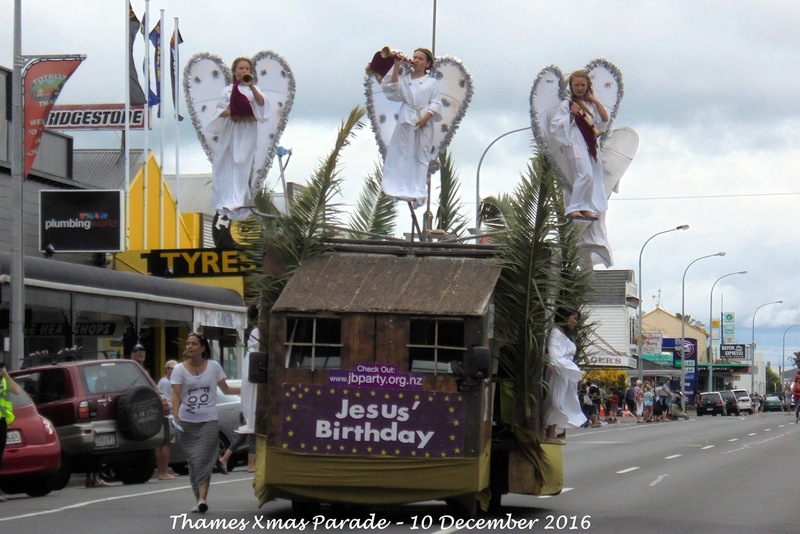 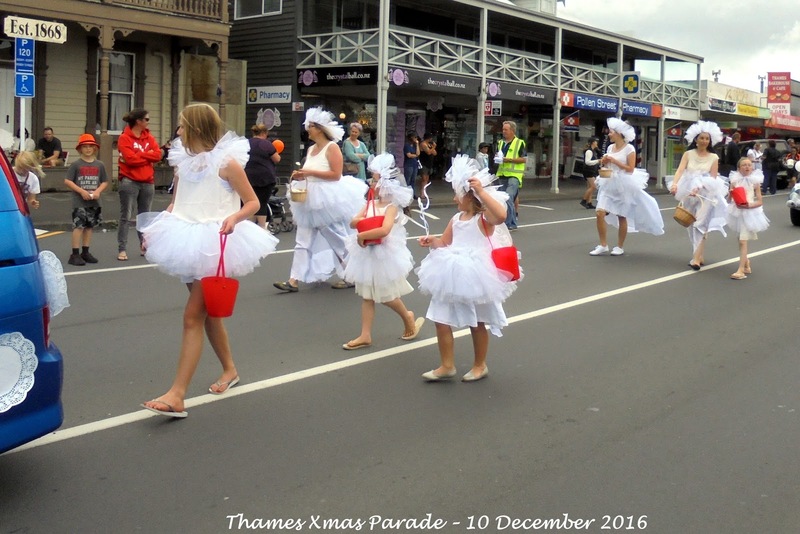 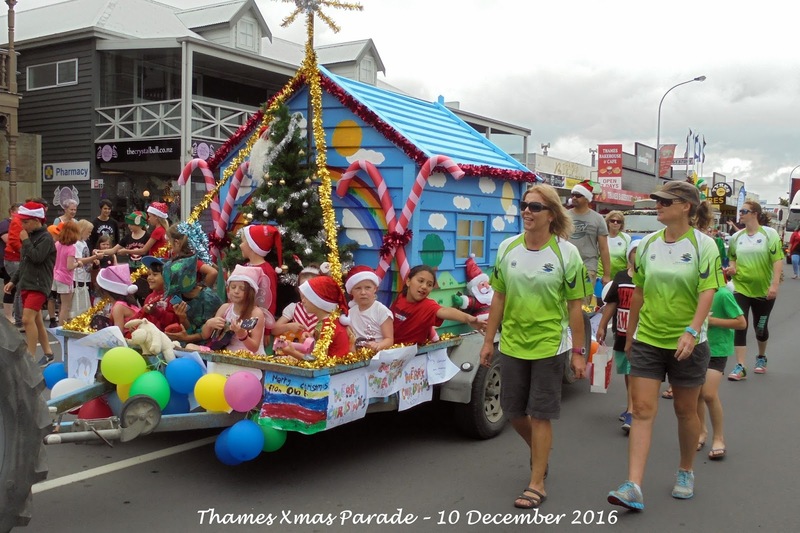 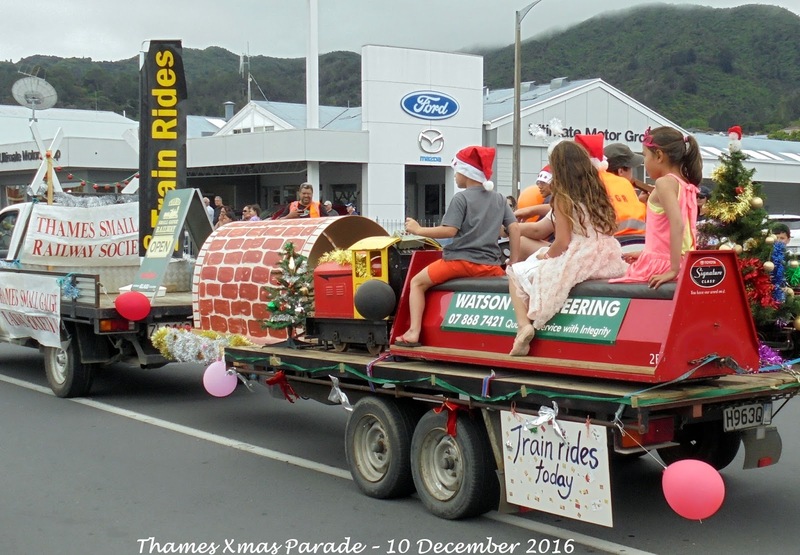 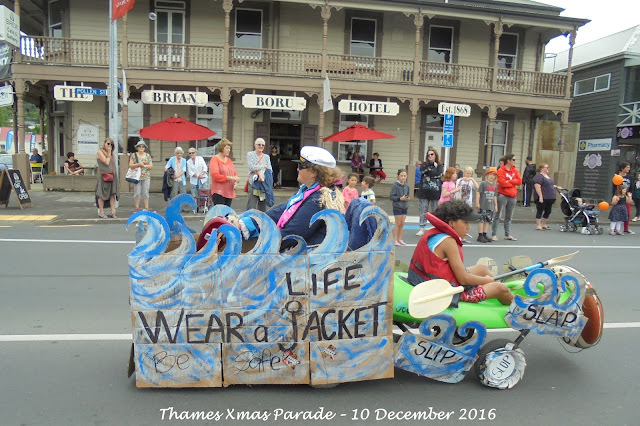 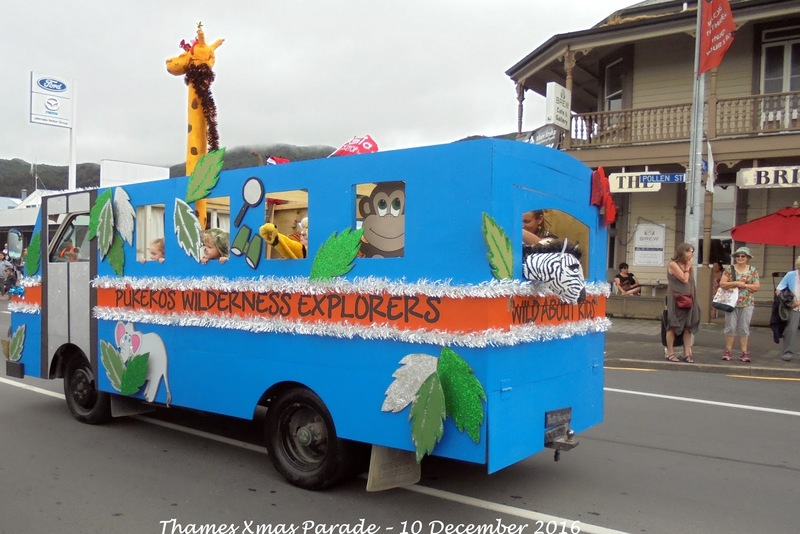 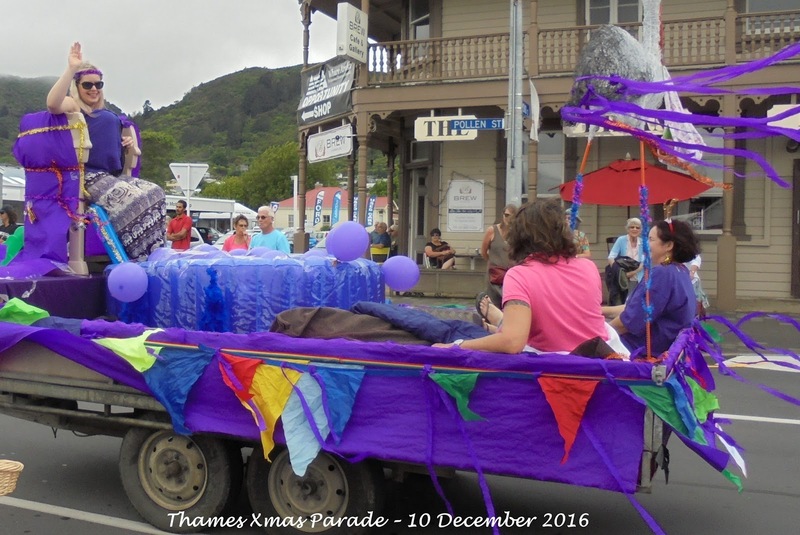 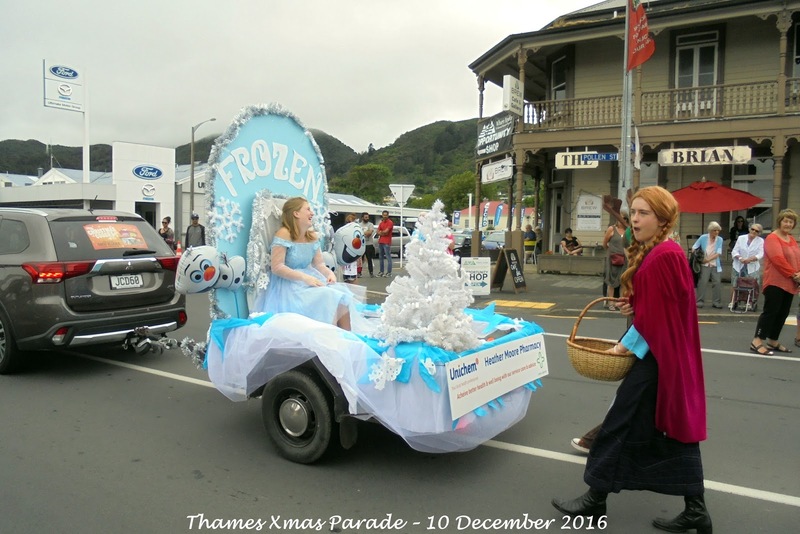 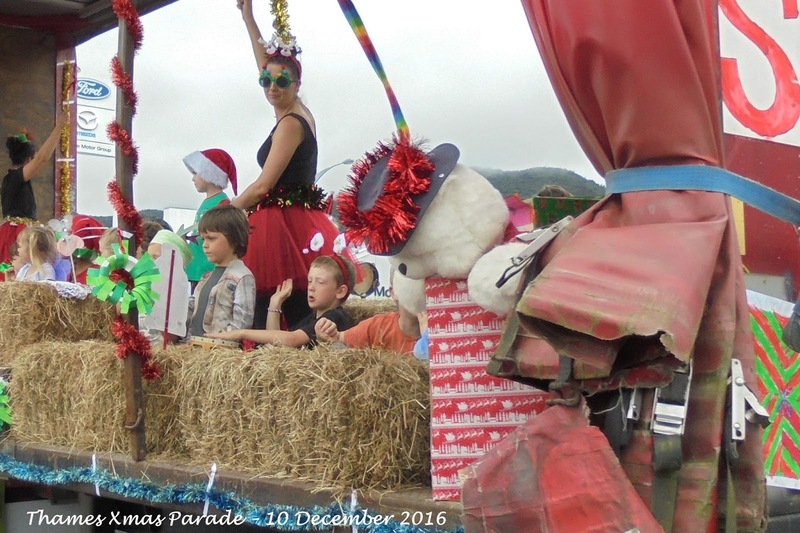 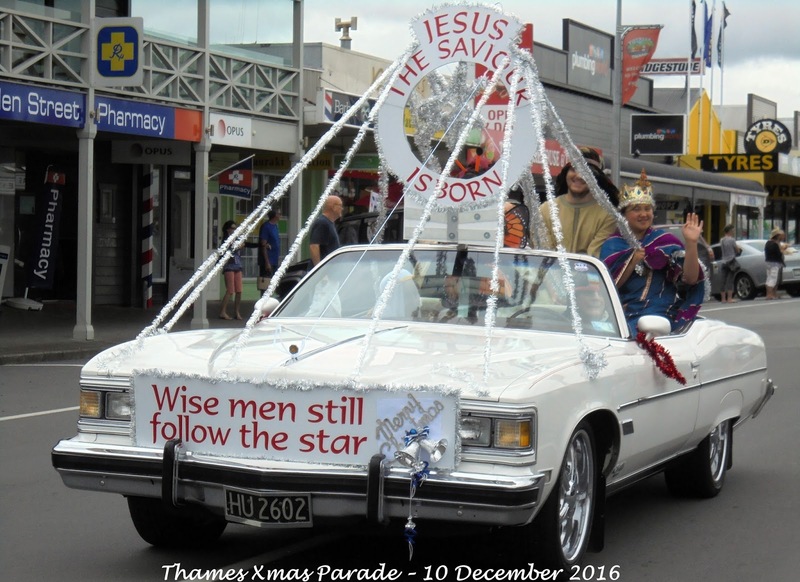 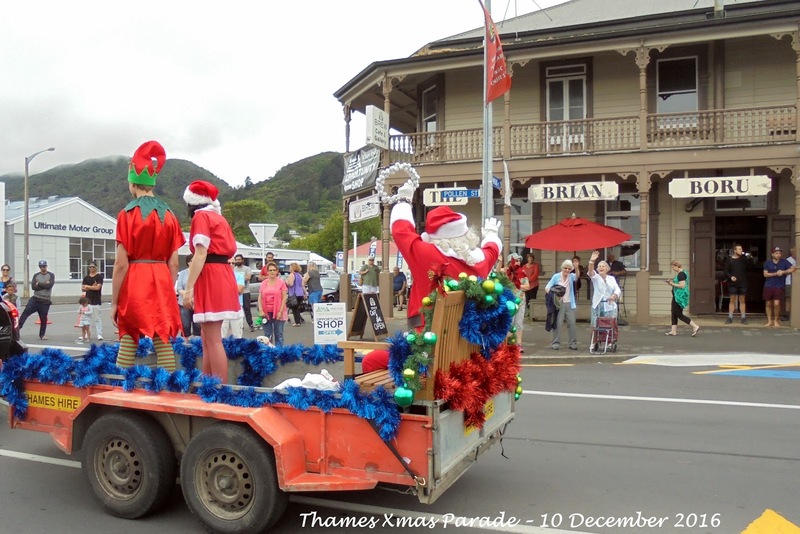 There were floats featuring young and old, that kept the crowd in place for nearly forty minutes. Some highlights shown in the photographs below and a slide show is available on You Tube. 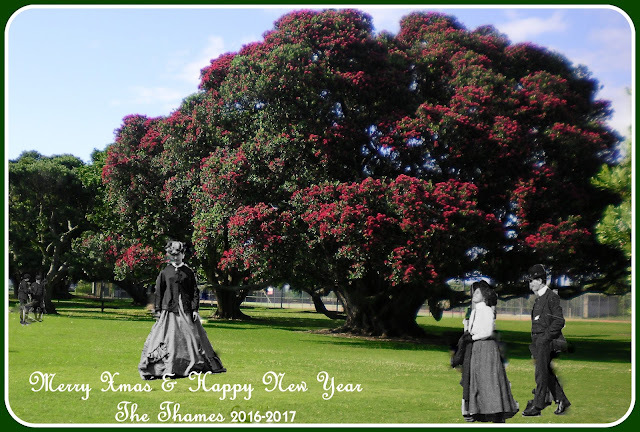 The magnificent pohutakawa tree at Victoria Park, Thames. We are so lucky that our ancestors planted such a beautiful park. The flowering each year appears more magnificent than the last. 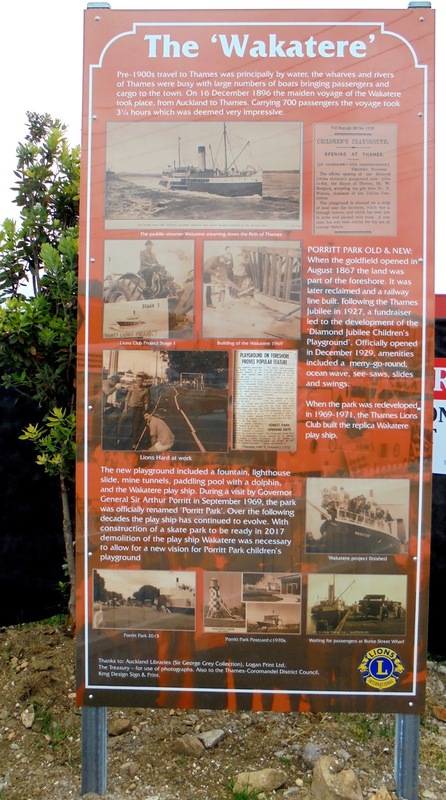 The area was once part of the foreshore, later reclaimed after the railway line was installed to the Grahamstown Railway Station and Price's Foundry on Beach Road. 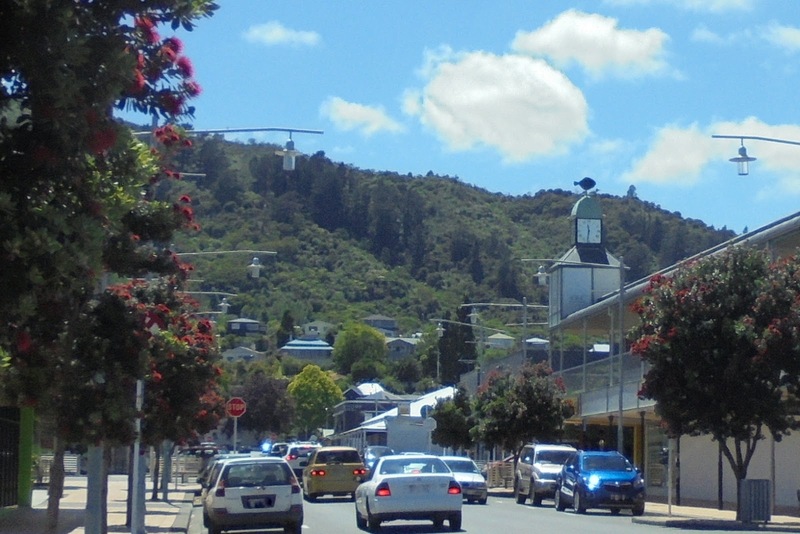 Now the town is embarked on further pohutakawa plantings around the town. 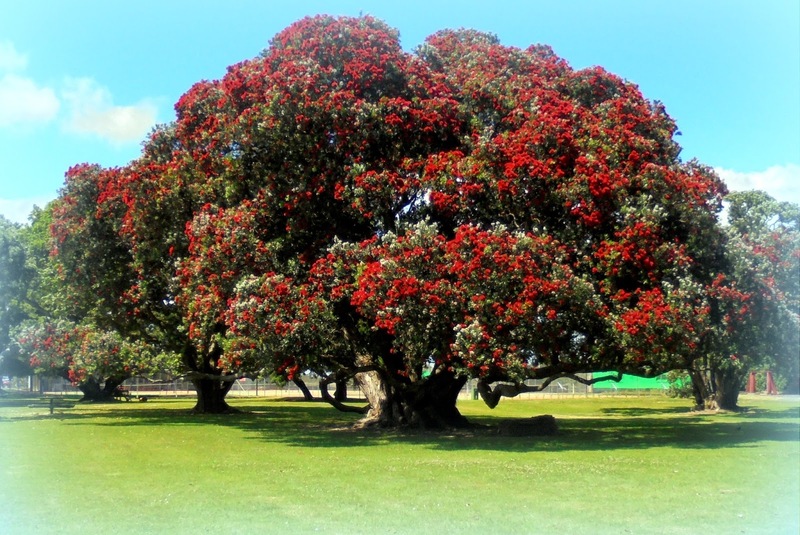 The trees in Mary Street (between Queen and Pollen Streets) are thriving and also a picture in full bloom. 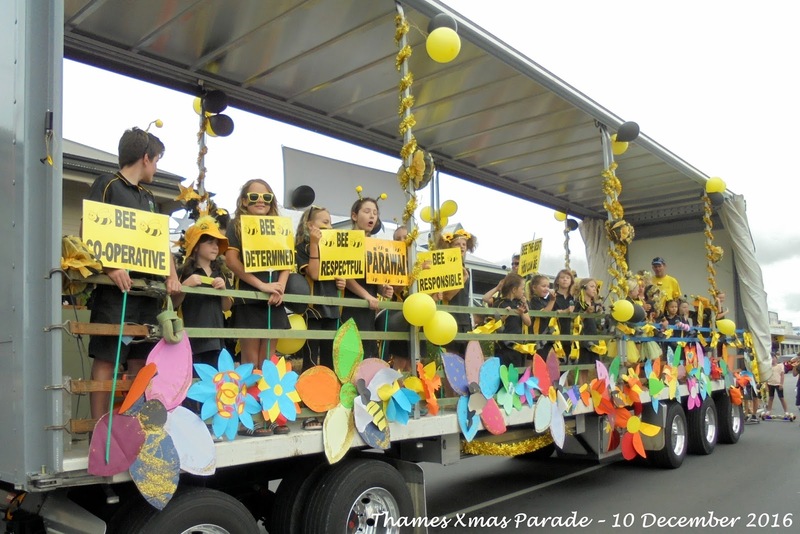 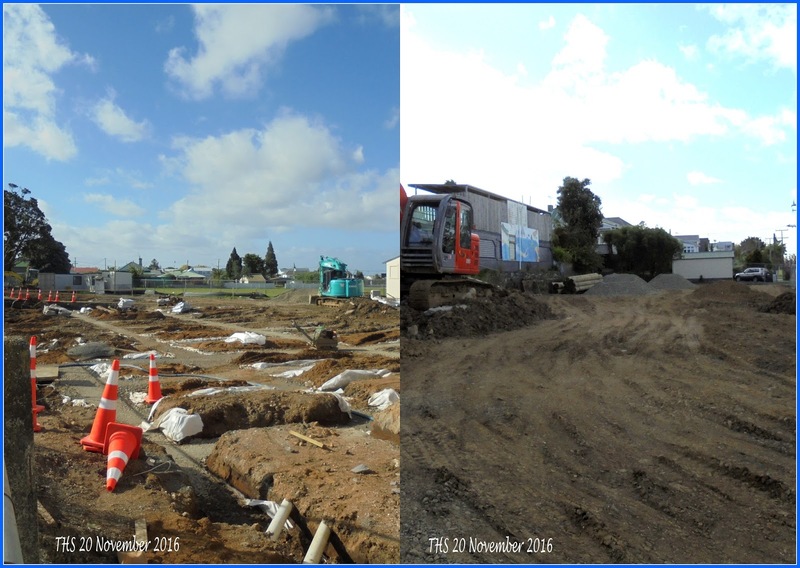 Thank you TCDC; may the plantings continue, and we will truly be the pohutakawa town, and lead on to the beautiful trees that line the Thames Coast Road. For several years, discussion has been underway regarding the need for further indoor sports facilities in the town. 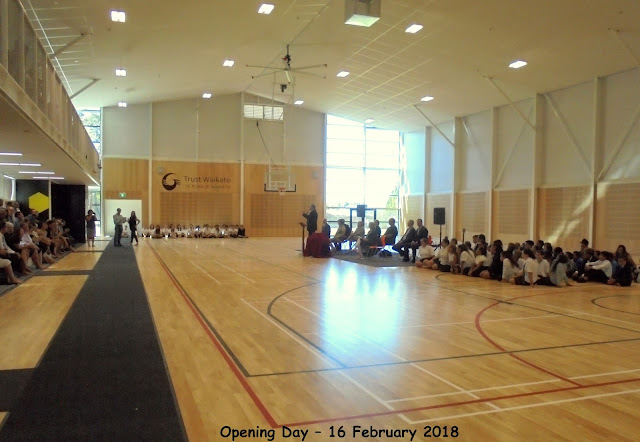 The Thames High School Gymnasium was currently used by a multitude of groups. 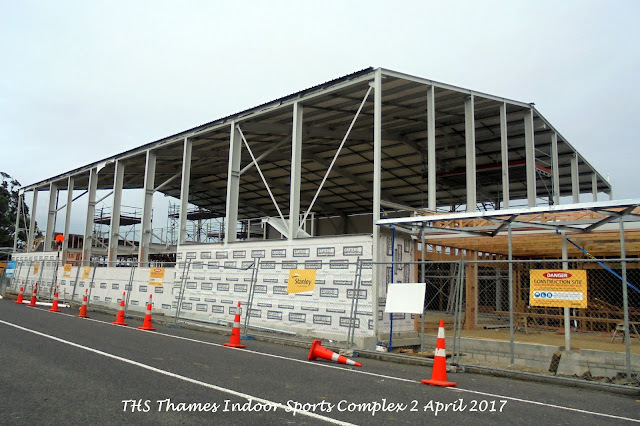 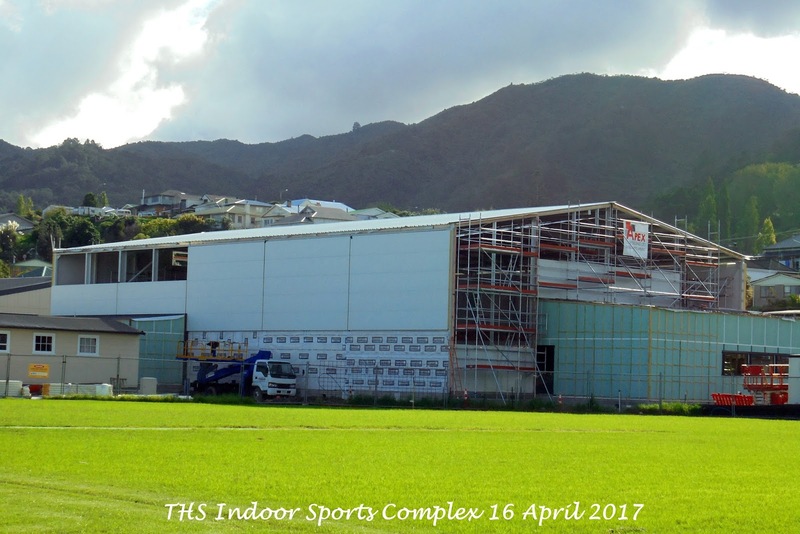 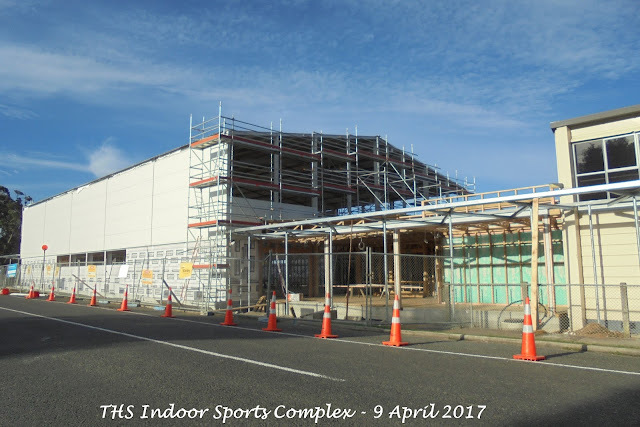 This year has seen the planning come to fruition, as a new indoor sports complex is currently under construction - located at the southern end of the Thames High School Gymnasium. There is also a car park being built on the opposite side of Rolleston Street, below the Thames High School Swimming pool. The project is budgeted to coast 4.5 million dollars and is supported by many groups within the community. 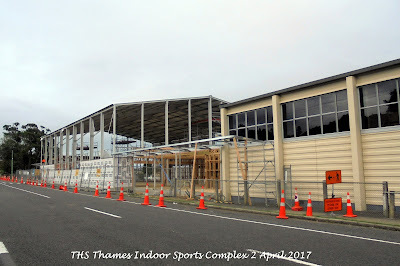 The site where the indoor court is being built was in the 1900s the area where the Thames High School Tennis and Basketball courts were located. 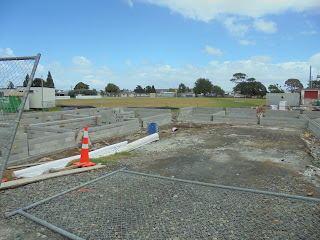 The asphalt area to the east of the A Block wing. 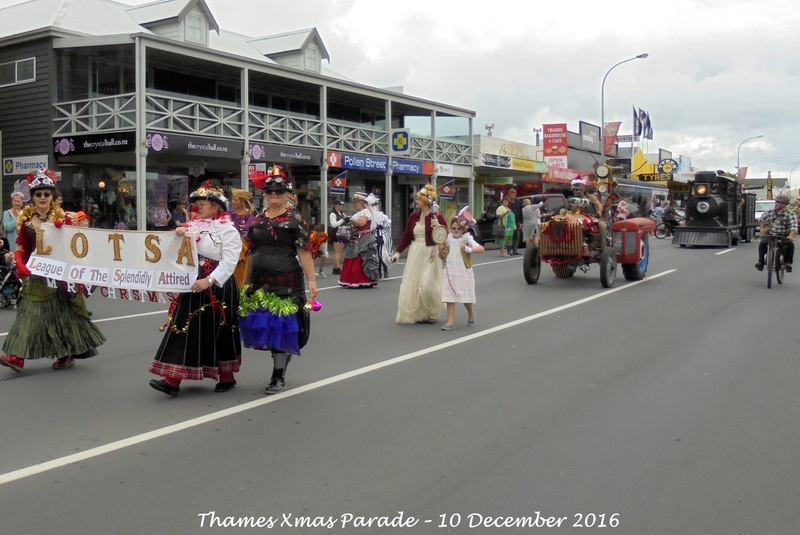 Following the opening of the Thames Goldfield in August 1867, the area south of the Sealey Street intersect was lined with hotels and shops. 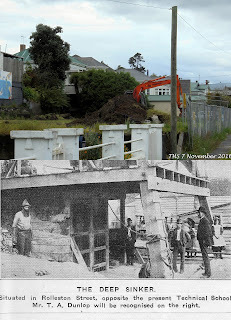 The Globe Hotel on the corner where the Gym is today, with other businesses and houses to the south where the construction is now taking place. 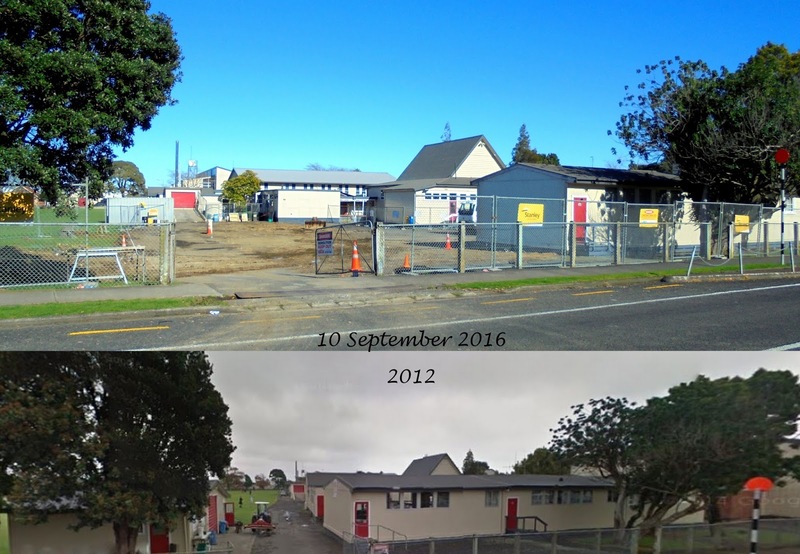 In September 2016, work began demolishing excess buildings and relocating others. The views below taken from the eastern side of Rolleston Street, looking towards the Thames High School. The area where the car park is being built was once the site of the Deep Sinker Mine Shaft. Work is well underway having cleared the site and work now underway with the foundations. 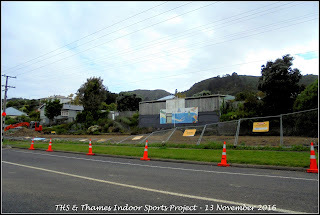 The view below looking north towards the present Thames High School Gym (corner Rolleston & Sealey Streets). 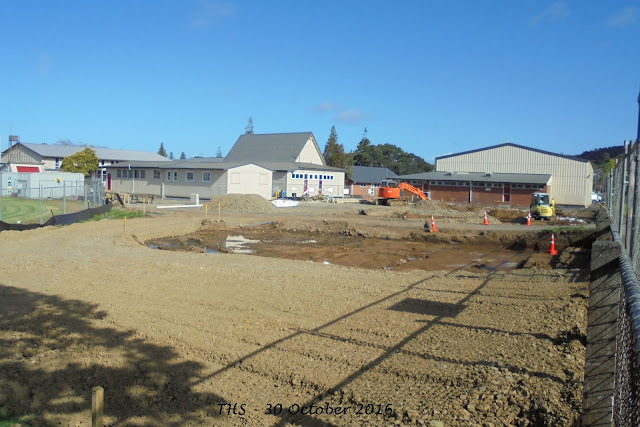 Above: Car park area has been dug out and levelled. 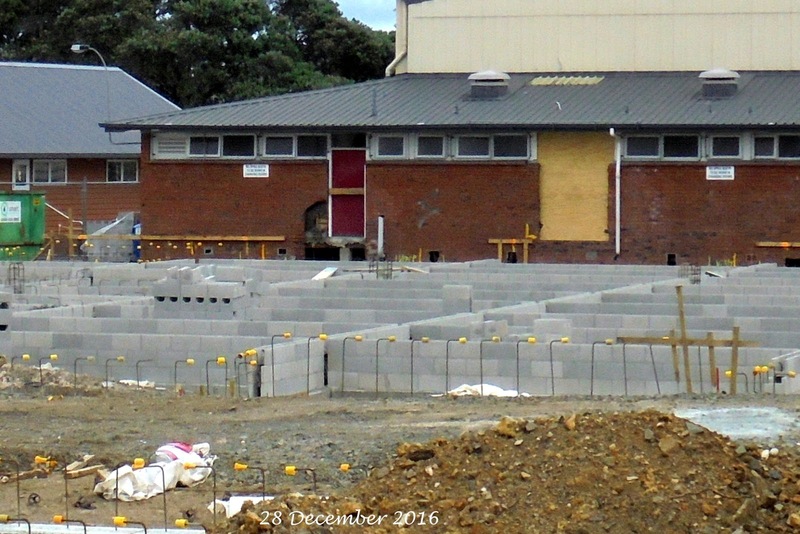 A front brick block wall is under construction. 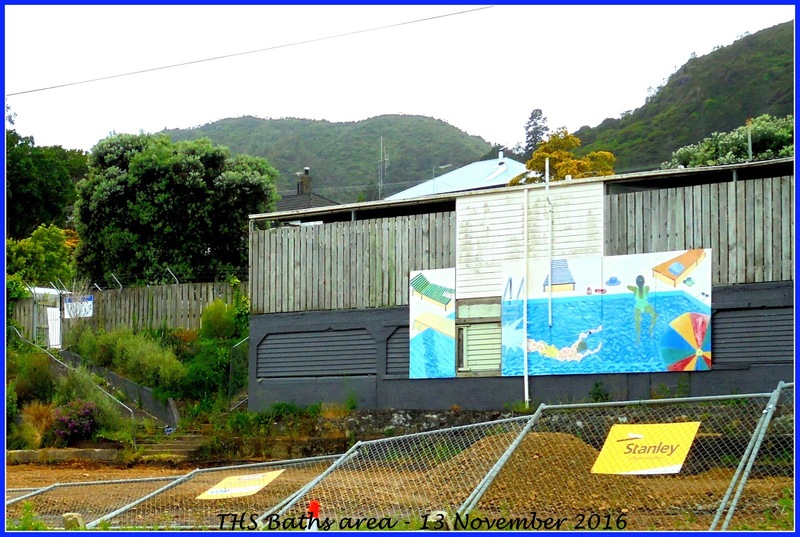 The school baths are to the upper right. 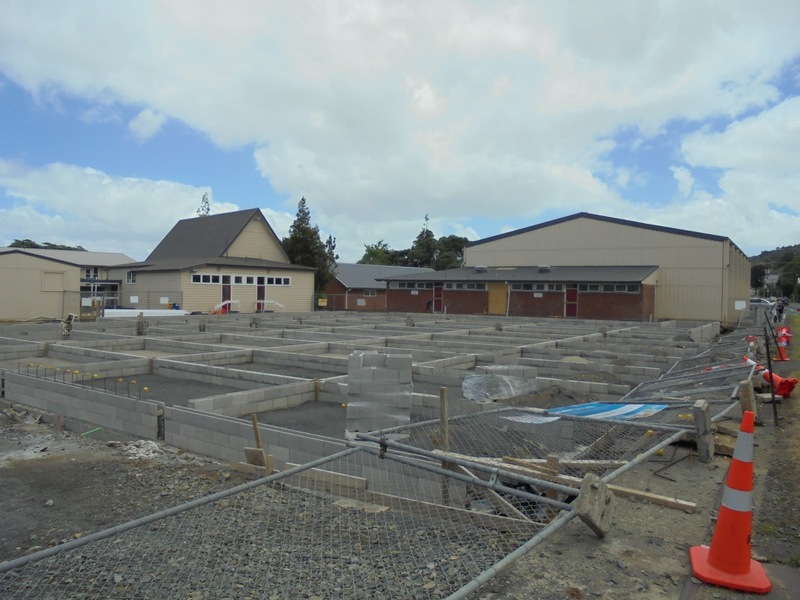 Above: the carpark area, below the school baths, already for paving. The foundations/block work looks complete. 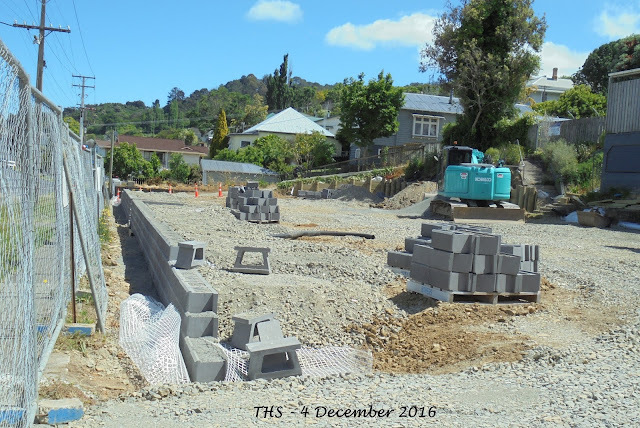 the TCDC site reports that progress will happen quickly now this work has been completed. 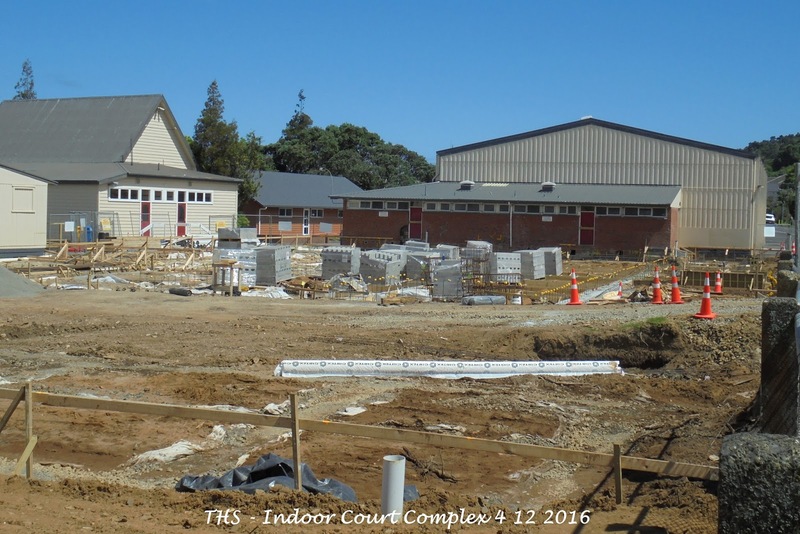 Below: View North west to the construction and present day Thames High School Gym. 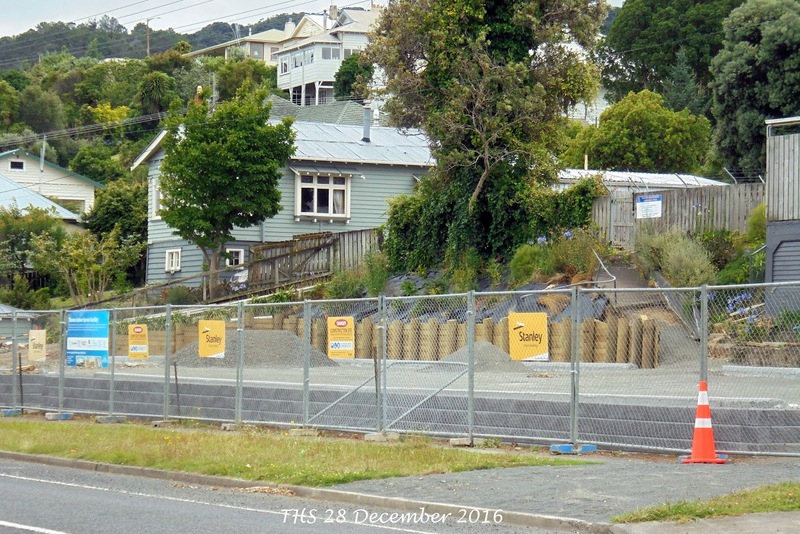 The fences had been knocked over by very strong winds during the night - 22 January 2017. Wow, how things have changed in the past months, the structure is now being closed in. Above: View from Sealey and Rolleston Street intersect. 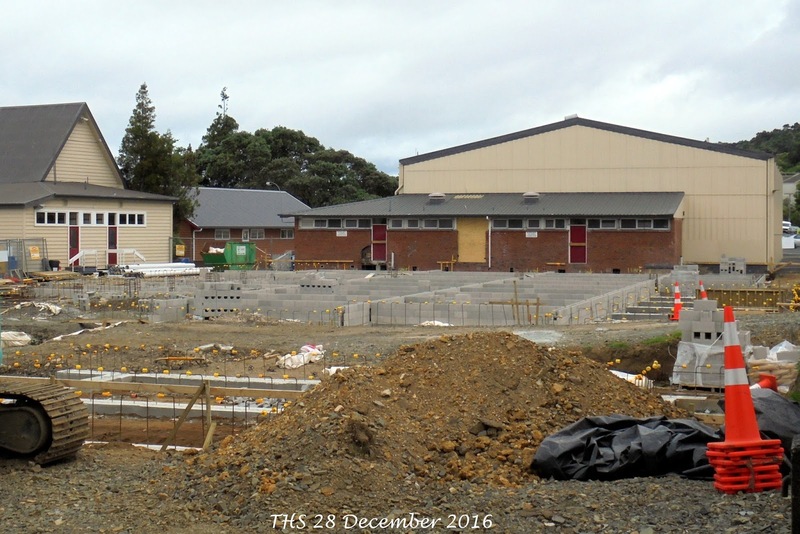 The present Thames High School Gymnasium on the right. 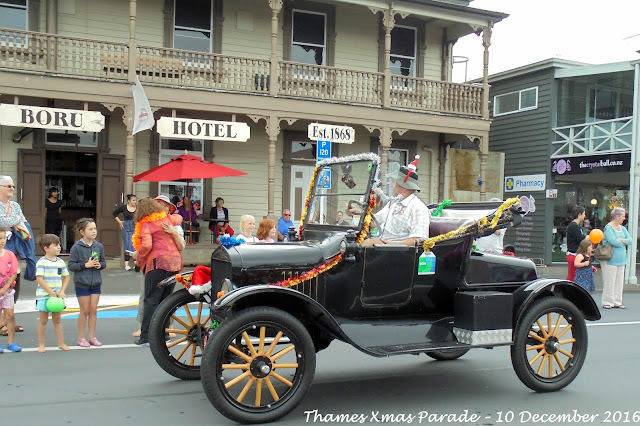 Once the site of the Thames Manual & Technical School and in the early goldfield days, the Globe Hotel. 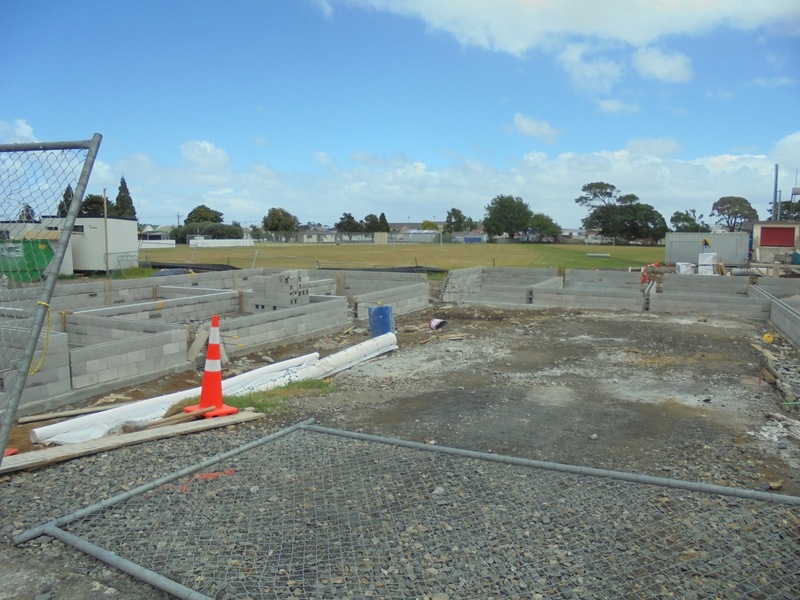 The size of the complex is evident from this view across the grounds - north towards the Sealey Street and Rolleston Street intersect. 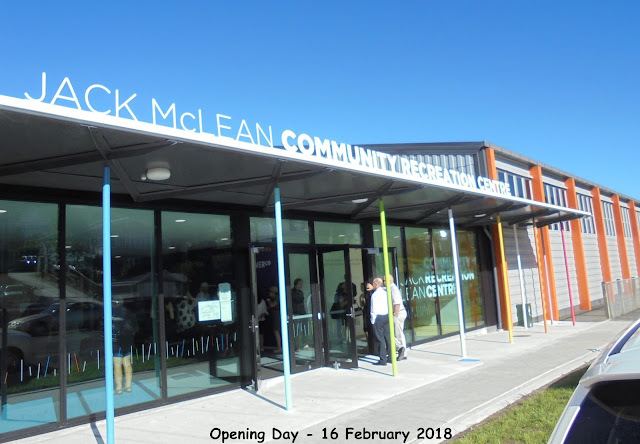 Everyone pulled together and they made, the new recreation facilities were officially opened. The McLean Family, dignitaries, Thames High School staff and pupils, along with dozens from the community gathered to celebrate the opening of the hall and the man whom it was named after - Jack McLean. The end of a journey watching the building being constructed, and the start of the life of a new facility for Thames and surrounding area.